Mt. Namsan is a low mountain located in the center of Seoul, but in the dynastic times when Seoul was a small walled city, the mountain marked the southern edge of the capital. It stands in the middle of the major shopping districts of Namdaemun, Myongdong and Itaewon. 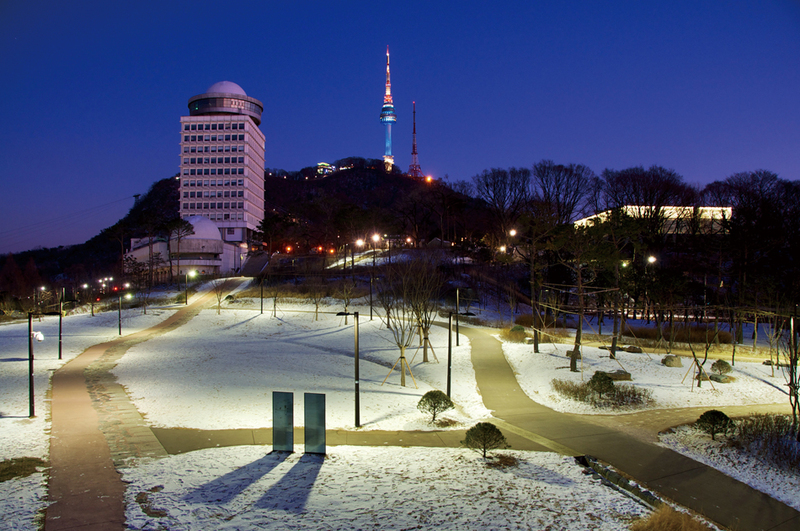 Its summit area is reserved as a public park that contains many places of interest, including N Seoul Tower. EAT> Mokmyeok Sanbang (목멱산방 T. 02-318-4790) serves bibimbap and other vegetable-heavy traditional meals. Patrons are expected to prepare their own meals in the spirit of self service. The restaurant, housed in a two-story traditional roof-tile building, is within walking distance from the cable car station. SEE> The Seoul Animation Center, located on your way to the cable car station, is the site of regular shows and animation festivals. GO> There are many routes to Namsan Park from various locations. If you like walking, it’s a thirty minute walk from Seoul Station 서울역 (Lines 1, 4, Gyeongui & Airport ) or Hoehyeon Station (Line 4). Otherwise you can take buses 0014, 402, or 02 all of which will take you to Namsan Library. You can walk from there. Mt. Achasan is one of eastern Seoul’s most accessible mountains, offering a good range of terrains and slopes. 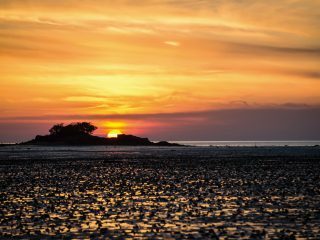 It is also an easy, 30-minute hike, with gentle and well-marked hiking paths to the top. 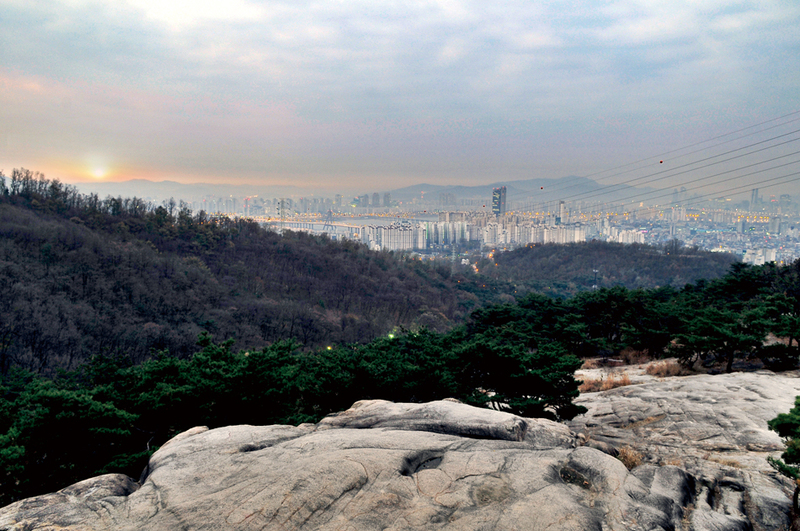 A panoramic view of the Hangang River and Seoul unfolds at the mountain base. At the foot of the southern end of the mountain is a pleasant park where there are plenty of free outdoor pieces of gym equipment, and other sporting facilities. EAT> Loving Hut (T. 02-453-2112) serves vegan food, coffee, non-alcoholic beverages and vegan desserts. It is in front when you emerge from Exit 1 of Achasan subway station. BUY> You can stock up on hiking snacks and drinks conveniently in the back streets between the subway station and the entrance to the mountain. Achasan is a prominent historical site in Seoul, with several interesting forts dating back to the fifth century. GO> Gwangnaru Station 광나루역 (Line 5), Exit 1. Take a left when you come to Gwangjang Elementary schoool and walk fifteen minutes. With 63 floors measuring a height of 264m, the 63 Building has stood as an iconic landmark of the metropolis since its opening in 1985. It was once the tallest structure in Korea. 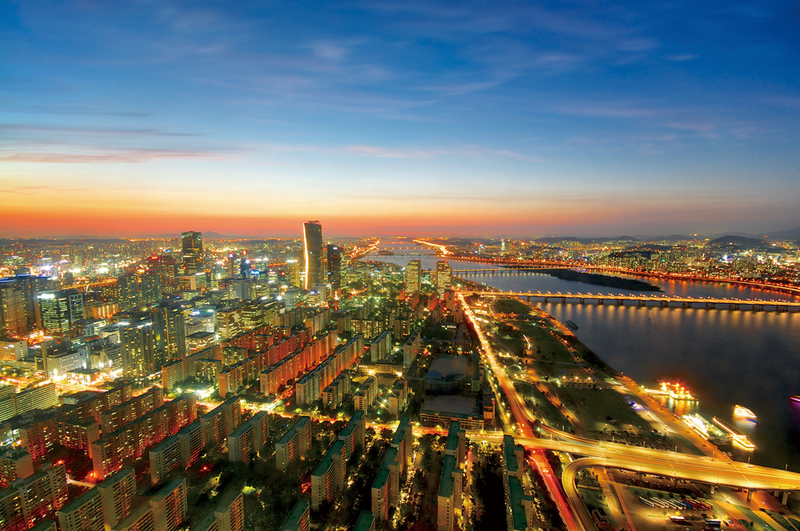 The 63 Building boasts spectacular views of the Hangang River and Seoul’s surrounding mountains. Beyond being a focal point of the city’s skyline, there is a remarkable array of things to see and do inside its 63 stories. EAT> The Buffet Pavilion, located on the ground floor, is arguably the best buffet restaurant in town, offering a stunning 200 different delicacies of both the Eastern and Western culinary traditions. BUY> The building’s ground floor has a mall-like feel, with a bakery, café, restaurants, an IMAX theater and some 100 various shops. SEE> The 63 Sea World aquarium is spread over the three basement levels of the building and is currently home to 20,000 animals representing 400 marine species. GO> Yeouinaru Station 여의나루역 (Line 5), Exit 4. Take the shuttle from there. 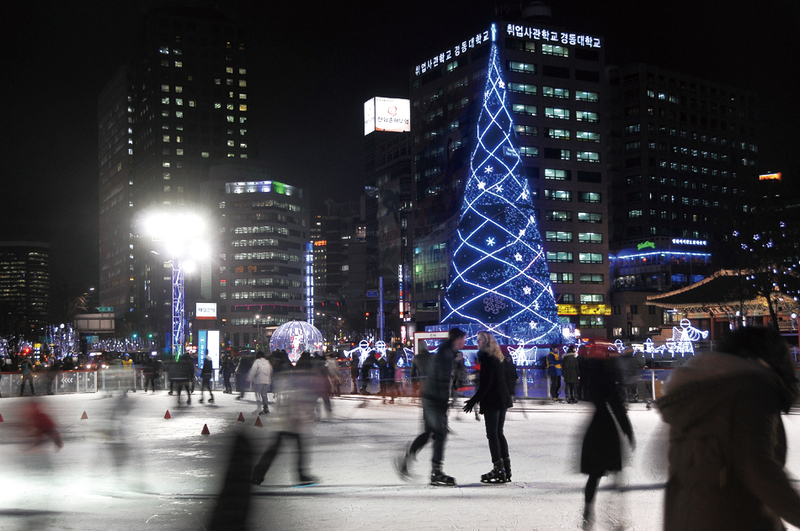 This is a seasonal outdoor skating rink built in front of Seoul City Hall. The facility opens in mid-December and operates for two months, usually from 10am through 10pm from Sunday to Thursday, and through 11pm on Fridays, Saturdays and holidays. The entrance fee is KRW 1,000, including skate rental. Online reservations are offered. Gloves must also be worn while on the ice rink. EAT> Doran Doran Café, in the basement of City Hall, is worth visiting, given that its menu focuses on fair trade themes and the environment. BUY> An underground shopping alley stretches nearly 2km from the City Hall to Euljiro 3-ga station. SEE> The Seoul Citizens’ Hall, located in the basements of City Hall, is a pleasant surprise as it serves as an open, multi-purpose space for various social functions and personal leisure. 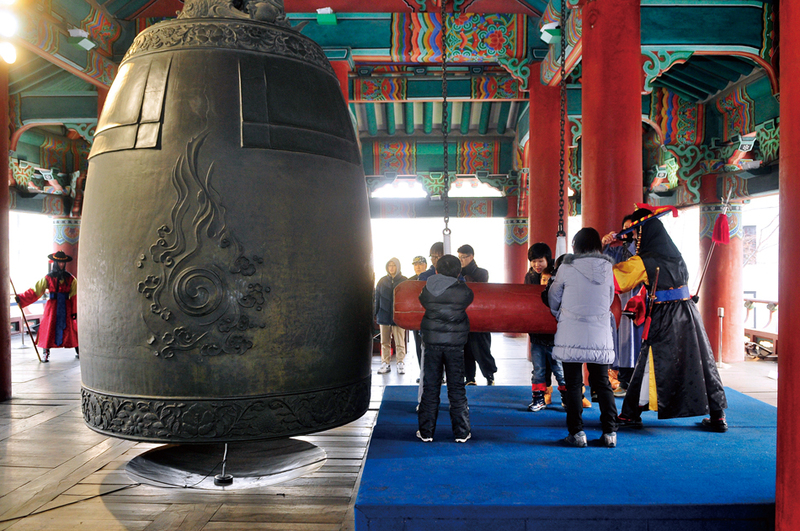 Jonggak or Bosingak is a belfry where a bell was rung during the Joseon Dynasty to keep time. The pavilion was first built in 1395. Currently, a daily bell-ringing ceremony takes place at noon. Four lucky citizens can participate and ring the bell. The Changing of the Royal Guard Ceremony is re-enacted everyday as part of the bell-ringing event. On New Year’s Eve, the bell is rung 33 times at midnight. Thousands of people gather here that night to watch the ceremony, making Jonggak Seoul’s equivalent of New York’s Times Square. EAT> Jongno, literally meaning “bell street” in analogy to the belfry, is a safe haven for all taste buds, party-goers and social drinkers. SEE> The original bell, designated as National Treasure No. 2, is now on display at the National Museum of Korea. The bell that is currently hanging in Bosingak was newly cast in 1985. GO> Jonggak Station 종각역 (Line 1), Exit 4. The market is both a wholesale outlet, trading in daily catches that arrive from every possible location, and also a retail market. Open 24 hours a day all year round, it is located in a big warehouse with two floors beside the Hangang River. Numerous sea creatures, familiar and exotic, will feast your eyes and mouth. 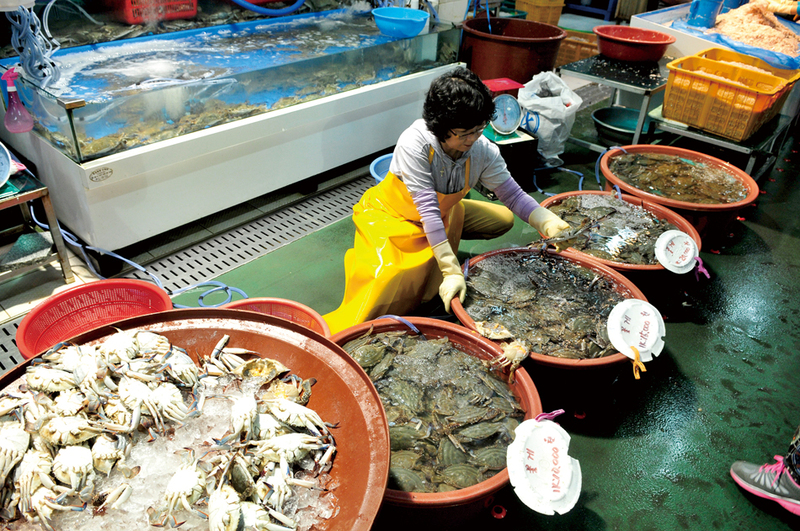 On the ground floor you can find some 700 vendors selling all kinds of interesting seafood. Seafood restaurants line the upper flight and warehouse building. EAT> The main raw fish dish comes with side dishes such as grilled fish, quail eggs, acorn jelly, beans and tofu. 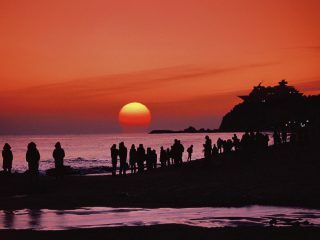 BUY> Many restaurants slice any fish bought at the market into raw fish servings and a spicy stew for their customers. SEE> Auctions start at 1am for shellfish, 1:30am for fresh fish and 3am for live fish. Times Square is a huge shopping, business and cultural complex. Five large buildings merge to form the complex, each with five to ten floors. 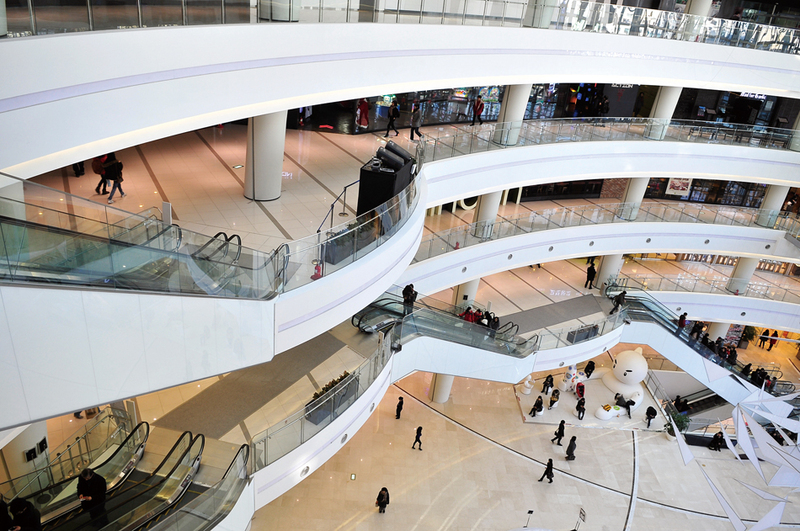 Housed under a single roof are the upscale Shinsegae Department Store, CGV multiplex theater, Kyobo Book Centre, E-mart and Courtyard Hotel, in addition to a luxurious fitness center and banquet and convention locales. EAT> There are many great restaurants for both the budget-conscious and the connoisseur. Some outlets include an On the Border (Mexican chain), Molecole (Italian), and Seven Springs serving healthier food with a buffet. BUY> Times Square is very popular with young couples who go shopping or go on a date. SEE> A lot of green space and gardens give a feeling of tranquility while shopping right in the center of busy Seoul. GO> Yeongdeungpo Station 영등포역 (Line1), Exit 5. Myeong-dong is Seoul’s shopping Mecca and is a must-see for tourists, but it also is a center of commerce, banking and culture with a daytime population of 1.5–2 million. 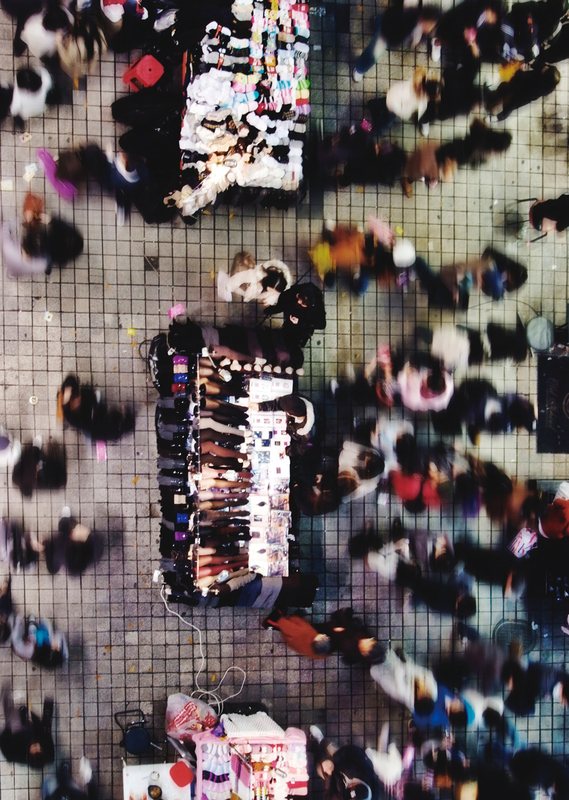 For shoppers, there is a mixture of street stalls and retail outlets selling everything from high fashion to casual attire as well as many Korean cosmetics stores offering high-quality products at competitive prices. It is fantastic for free samples, and the competition between the stores is so huge that bargain sales are offered very often. EAT> A horde of street food stalls serve typical Korea snack delicacies. BUY> Several Korean mega-brand beauty outlets, including The Face Shop, Etude and Missha, draw in many overseas visitors. SEE> Located atop a hill in Myeong-dong is the beautiful Myeong-dong Cathedral, built by French missionaries at the end of the 19th century. A Gothic gem, the church was also at the heart of Korea’s democratization movement of the 1980s.